Hanoi (VNA) – Deputy Prime Minister Vuong Dinh Hue shared Vietnam’s experience in developing cooperatives with a delegation of the Lao National Economic Research Institute in Hanoi on March 19. Vietnamese cooperatives have seen a change for the better after 15 years implementing the resolution adopted at the fifth plenum of the ninth Party Central Committee on collective economy, and 10 years implementing the resolution of the seventh plenum of the tenth Party Central Committee on agriculture, rural areas and farmers, he said. The official said new-style cooperatives have not adversely affected household economy but, on the contrary, helped increase values of the model. Up to 60 percent of Vietnamese cooperatives are operating effectively instead of the previous 10 percent, he said. The Deputy PM stressed that leaving farmers to operate cooperatives by themselves or using administrative orders to get farmers join in cooperatives will not produce good outcomes, adding that cooperatives should be formed and developed on the basis of economic benefits. He also underlined the need to develop cooperatives in tandem with the process of agricultural production restructuring, and the building of new-style rural areas. Regarding the State-owned sector, Deputy PM Hue affirmed Vietnam’s policy of equitisation of State-owned enterprises and divestment of State capital while applying market standards and norms towards enhancing transparency in the sector’s operation, and separating the State management function from the representative role of State capital in enterprises. 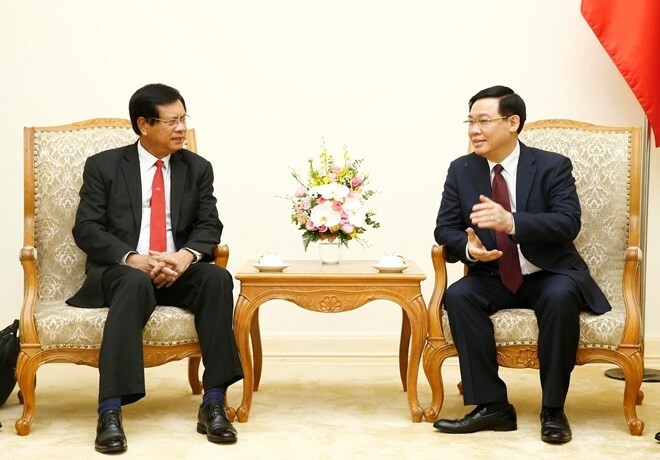 Hue expressed his hope that Vietnam’s experience will be useful for Laos to promote its economic reform in the time ahead, contributing to tightening the traditional friendship between the two countries. Head of the Lao National Economic Research Institute Bouasone Bouphavanh, who is a former Lao Prime Minister, lauded Vietnam’s strong development, saying his visit aims to learn from Vietnam’s experience in reforming State-owned enterprises and developing new collective economic models and cooperatives. He shared that Lao State-owned enterprises are meeting various difficulties, thus affecting the country’s public debt, while there are many shortcomings in production relations in agriculture.